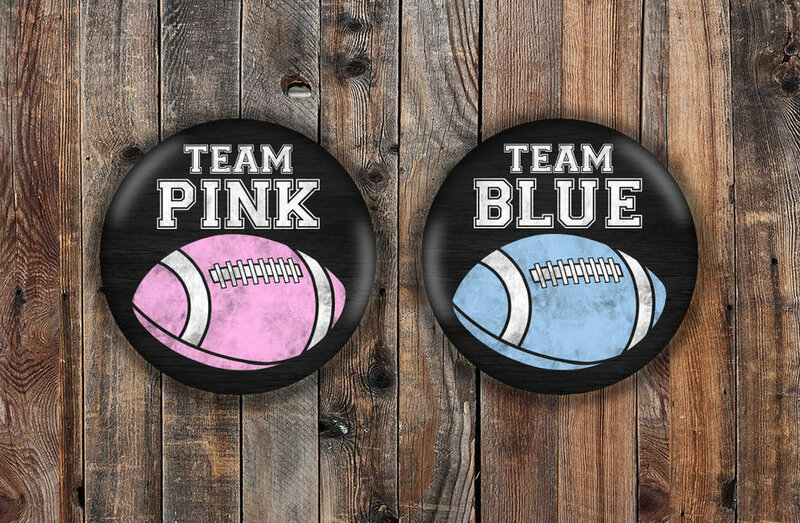 Our popular football gender reveal party invitation (shown above) has a trendy chalkboard background and subway art wording with classic pink & blue football helmets. Have your family and friends choose which "team" they'll be on by casting a vote as shown in photos below. An alternative to having your guests wear their guess in clothing (shown above - which I love the group photos! ), offer these inexpensive pins (see below) for them to wear once they've cast their vote! 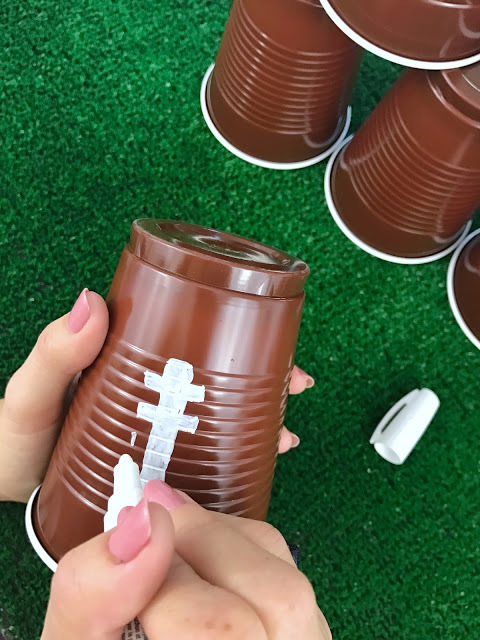 A fun & easy game that guests will actually WANT to participate in! Baby prediction card "scorecard" perfect for Gender Reveal Party, Baby Shower or Baby Sprinkle. Have guests pay $1 to complete a scorecard. After baby is born, highest score wins the pot! I instantly fell in love with these adorable "football" ice cream sandwiches from The Celebration Shoppe. Super easy to create. Just use a popsicle stick for handle and some white icing for the "laces". An inexpensive dessert for your gender reveal party and one that guests are sure to remember! 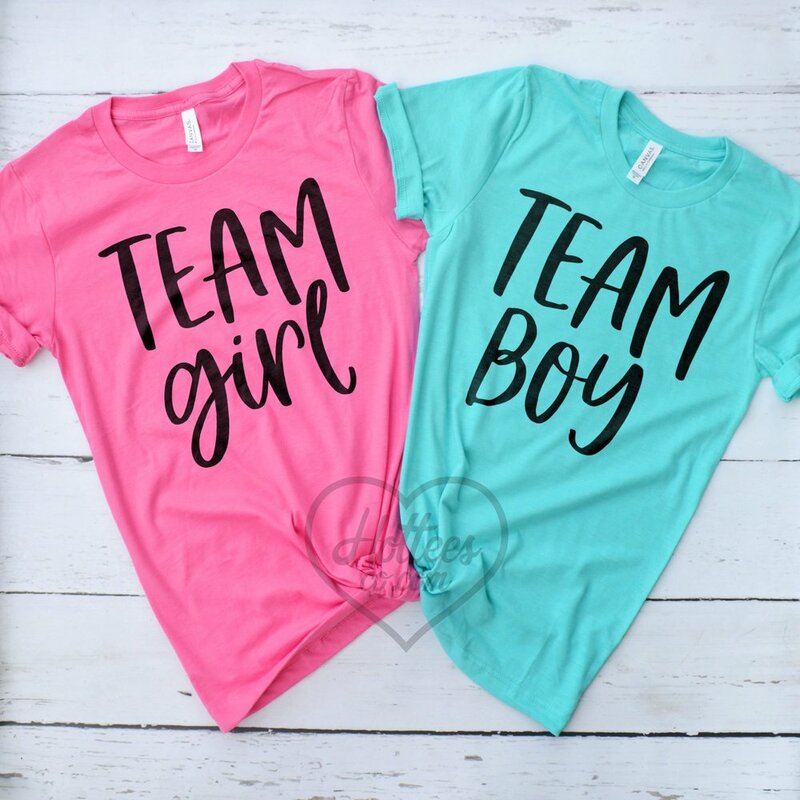 Reveal the gender with a fortune cookie! Customize color of chocolate. 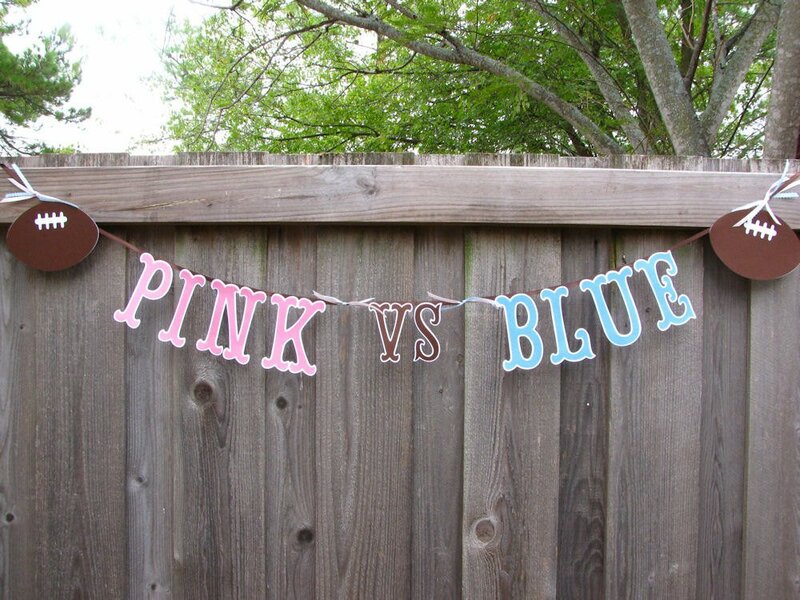 Stick with pink and blue or choose your team colors. LOVE this idea! "Team Pink or Team Blue" paper plates & matching napkins, available through Oriental Trading Company. A clever way to include the older siblings. 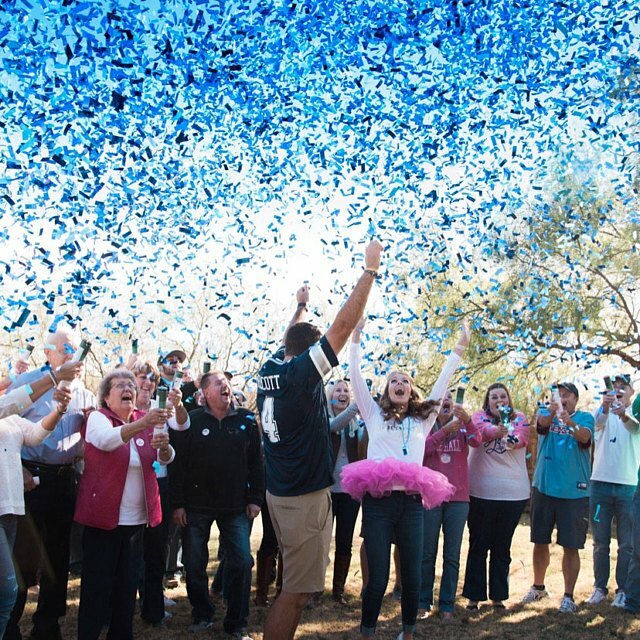 Have personalized football "jersey" t-shirts created for them!